For the price of the Iraq War, we could've bought out the entire United Kingdom stock market at a 10% premium. The S&P Global Indices provide the best estimate of the total value of all the publicly traded companies in a nation. The 'Total Market Capitalization' of companies includes not only the value of all the shares of stock, but also any interest in the companies that may be controlled off the stock exchange by the government or other stakeholders. Currently the total market cap of the UK stock market is $2.72 trillion. 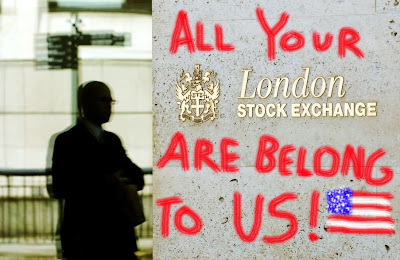 Paying a 10% premium to completely buy out the UK stock market and own all of every publicly traded company in the UK would cost $2.99 trillion, which is less than Joseph Stiglitz and Linda Bilmes' estimate of $3 trillion for the cost of the Iraq War.